Turn Undead Monster Hunter from Nitrome has all the elements you could want from a platformer like ghosts, vampires, zombies and werewolves, and plenty of stakes so you can take them out before exiting the level. But this also happens to be a turn-based game, adding another element to the gameplay. Since it is turn based there is some time for you to plot your next move, and this keeps the game from turning into a simple free for all. Controls are intuitive and the graphics and sound are reminiscent of classic video games. Each move you do is considered a turn, yet the layout is similar to a sidescroller/platformer. As you progress keep an eye on the boxes as they might have levers. You can also use them to access other areas of the level or use them as a shield. 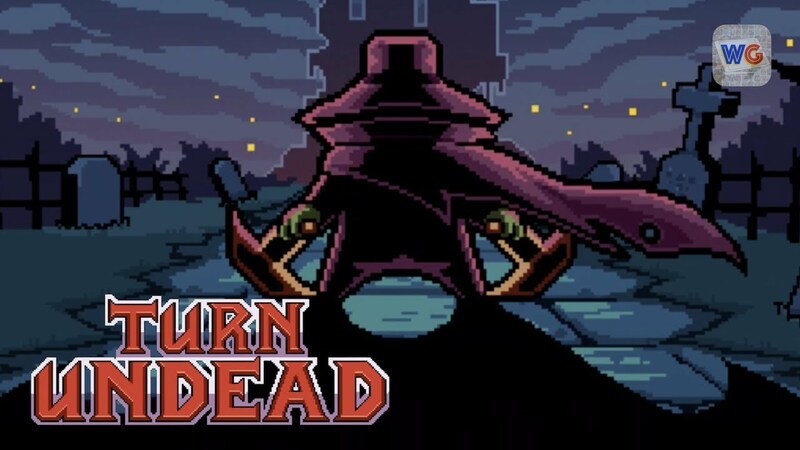 Turn Undead is not just a turn-based puzzle as it has plenty of action. Monsters will be coming for you but you have a stake gun to take them out. One of the peculiarities of the game is the stake will only move after your character moves. While this is unusual it is something you get used to quickly. Turn Undead Monster Hunter does a masterful job of combining puzzle and action. If you love classic video games then you will like this one. It is easy to pick up and the design allows you to get in the game easily.